Looking for fun free things to do in Orange County that won’t break the bank? Whether you’re looking to spend the day perusing the latest in contemporary art or simply want to spend the day browsing the latest fashion trends at the mall, Santa Ana offers lots of affordable activities for visitors and residents alike. Here are a few of our favorites. Artists, art enthusiasts, and all who enjoy a night out in a vibrant city are welcome at the Santa Ana Art Walk, a reoccurring family-friendly festival that takes place every first Saturday of the month in downtown. Enjoy an artful evening exploring over 20+ art galleries, studios, artisan street vendors, restaurants, pop-up artists, live music, and so much more! The OCMA has recently relocated from Newport Beach to the streets of Santa Ana as they plan to expand and re-build the museum in Costa Mesa’s Segerstrom Center for the Arts by 2021. During the next few years of remodeling, the OCMA will be temporarily located in Santa Ana and will continue to host exhibitions, gallery talks, lectures, performances, and other fun programs. Visitors can come and enjoy free admission to exhibits featuring the work of contemporary artists from California and the Pacific region. 3. Orange County Center for Contemporary Art: Explore More Contemporary Art! Located in Historic Downtown Santa Ana’s Artists’ Village, OCCCA is an all-volunteer art organization dedicated to helping artists develop ideas, exhibitions, and projects while encouraging experimentation and risk-taking. 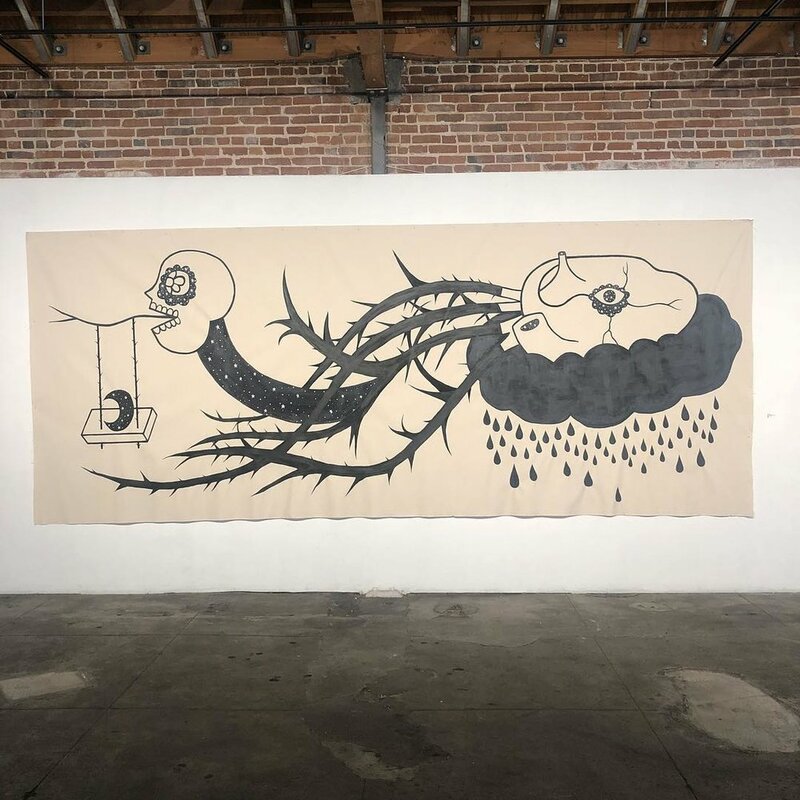 The space welcomes guests to view monthly exhibits, films, forums, concerts, workshops, classes and artist receptions during the Santa Ana Art Walk. #HashtagLunchbagOC is a nonprofit organization dedicated to giving back to the Orange County community by providing lunches, love letters, and other goods to those experiencing homelessness in our city. Every second Sunday of the month join them at 4th Street Market to help assemble and distribute lunch bags. Though not mandatory, monetary donations are always welcomed to help cover the costs of food and supplies. El Mercadito El Carrusel is a monthly market place that encourages and supports members of the community in selling their handmade crafts, clothes, foods, and much more! Come experience traditional food, goods and entertainment and join for a celebration of local culture, talent, creativity, and entrepreneurship. Take a fun, leisurely stroll through the thriving marketplace off of Bristol Street with good deals and great food. This indoor shopping center is the perfect place to go window shopping with the family for random household needs and delicious Mexican goodies. If your goal is to pick up a couple new career skills this year, look no further! Dale Carnegie Training of Orange County provides free workshops all year-long in areas of leadership, sales, human relations, customer service, communications and so much more! Boost your resume, life skills, and professional development through their free workshops, seminars, and courses! Outside of being a popular TV and Movie set location and wedding photo destination in Southern California, the Old Orange County Courthouse is a recognized Californian Historical Landmark that houses the Orange County History Center with an exhibition gallery that displays both temporary and permanent exhibits on local and regional history. Come dive into the Orange County Archives, the library of the Pacific Coast Archaeological Society and Orange County History Center to learn more about the history of this city!